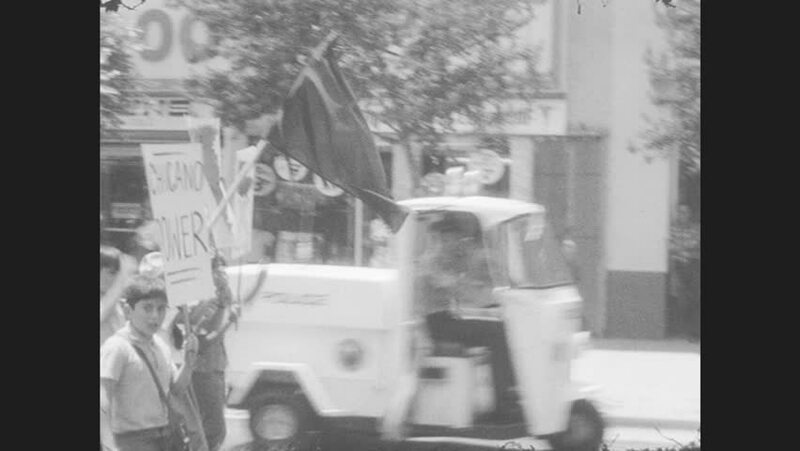 1970s: UNITED STATES: protesters carry flags through street in protests. People clap and chant. hd00:11UNITED STATES: 1960s: lady works with jars in science lab. hd00:181960s: Women place shirts onto forms, machine steams and presses shirts. hd00:21CIRCA 1940s - A veterinarian, outdoors, fills a syringe and, with his assistant, he then injects cows in a corral with a serum in Chile in 1949.
hd00:151910s: Daughter removes scarf and grabs broom. Father enters bedroom. Daughter sweeps dust into father's eyes. Young man waits at window. Father scolds daughter. Daughter rests head on dad's shoulder. hd00:27UNITED STATES 1960s:Man Turns Away from Moving Machinery and Examines Mechanical Component. Man Puts Down Metal Component and Returns to Moving Machinery at Work Station.